Taking a peek in the box, we have the same components as last year. nothing has changed. Still a 5W USB-A wall charger, still a Lightning to USB-A cable. This is especially disappointing on the iPhone XS Max because of this jumbo battery. 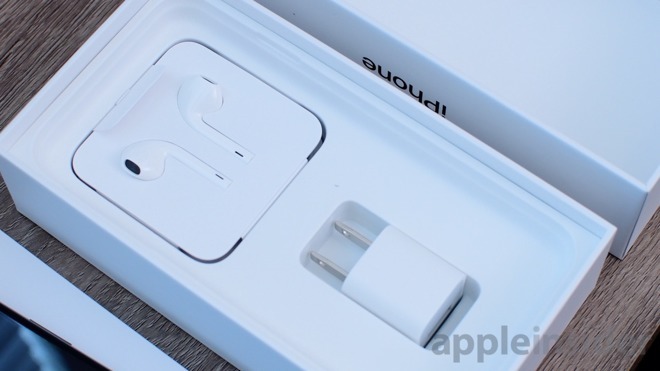 The usual set of Lightning-powered earbuds are also provided, though no Lightning to 3.5mm jack adapter is included, which is a drag for those who still rely on that over Lightning/wireless headphones. The iPhone XS Max feels huge because of that edge-to-edge OLED screen. 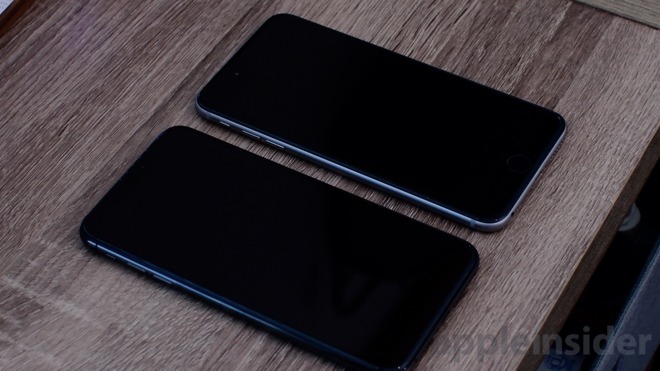 Comparatively, it is actually the same size as any of the Plus-sized phones. There is certainly some heft to it, but that and the glass back actually make it a bit easier to hold than the aluminum iPhone 8 Plus. Otherwise, from the exterior, this looks like a scaled up iPhone X. We still wish Apple would make better use of the screen real estate by giving us extra rows of app icons, though. Maybe in a future version of iOS 12. 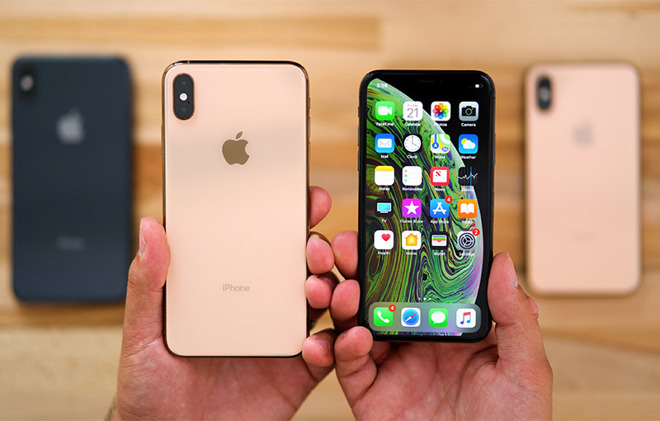 Initially, some mistakenly believed the iPhone XS comes with 120Hz ProMotion display, technology introduced with iPad that dynamically refreshes onscreen content at a rates reaching 120 frames per second. It does not. Apple did, however, carry over the 120Hz touch sample rate from iPhone X, meaning the screen assembly collects more information per frame displayed than previous iPhones. Some also misunderstood Apple's marketing material, thinking iPhone XS' display achieves 60 percent greater dynamic range than prior models. In actuality, the company is referring to a new Smart HDR photo capture that boasts the dynamic range boost. Aesthetically, the iPhone XS is almost identical to last year's iPhone X, but if you take a closer look, you'll see that the speaker grille layout is completely different. 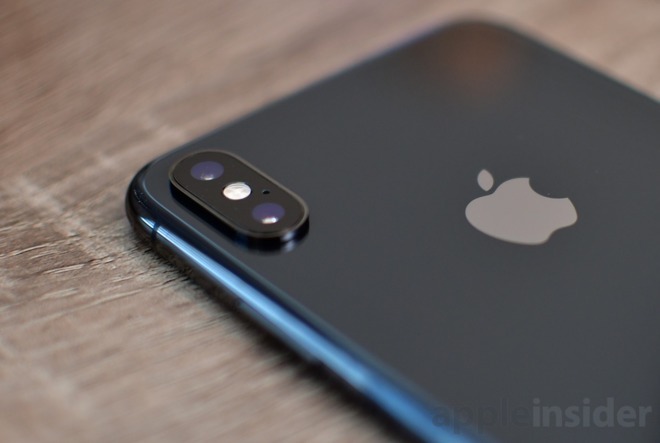 The iPhone X had six speaker holes on the left side of its Lightning port, while the XS cuts that number down to three to make room for an added antenna band. Users will also notice a similar band at the top of the handset right above the camera lens. 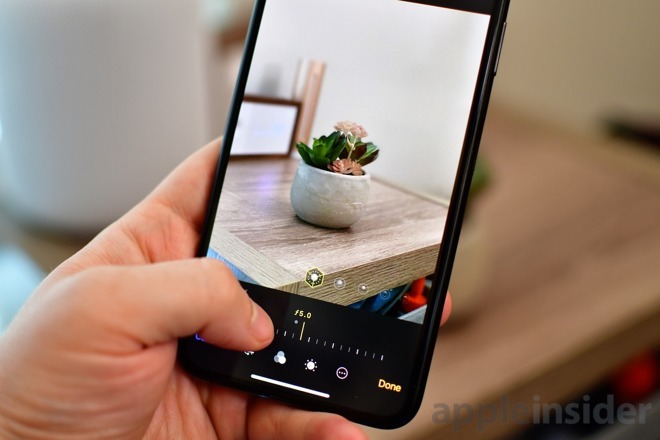 Interestingly, the XS' camera bump has gotten a bit larger as well. We tried to fit an iPhone X case on our iPhone XS, but it didn't fit perfectly due to the bump's larger dimensions. Users who have rigid cases that fit exactly to spec might need to purchase a new accessory. The first thing we did, after booting up the new phone, was jump straight into the camera. We've been dying to check out the new controllable aperture feature exclusive to these new phones. We noticed that XS Max was quicker than our iPhone X in activating the Portrait Mode blur effect as we aimed at our subject. Our photo loaded, and a moment later an adjustable row of f-stops appeared below the image. As we increased or decreased the aperture, the level of blur in the background would increase and decrease. It looks pretty slick. 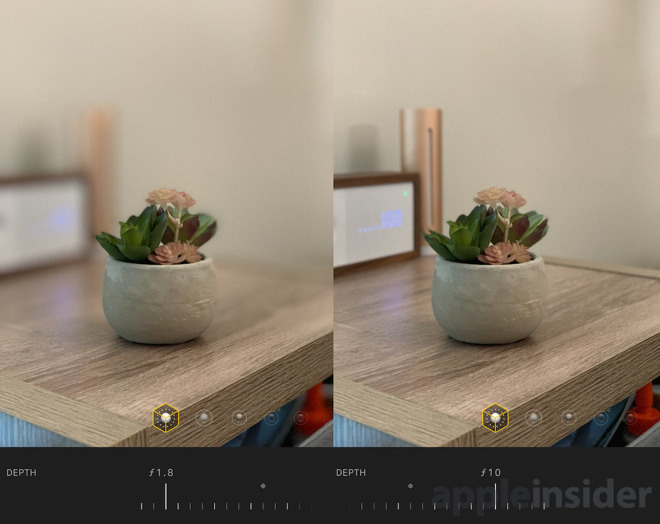 There is going to still be a difference in the look of the blur on an iPhone versus a DSLR, but being able to adjust it was pretty amazing to see. We will certainly be spending much more time testing out this new feature, as well as the other improvements to the camera soon. We've only just had a chance to play around with the new iPhone XS and XS Max but we are pretty happy with both. It doesn't quite feel like there are as many new things to play around with compared to the X, but anyone who appreciates large displays will love the XS Max. 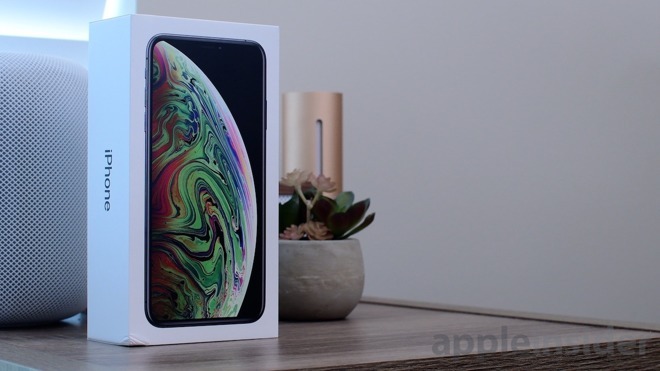 Be sure to keep your eyes on AppleInsider in the coming days and weeks as we continue coverage of Apple's new handsets. If you haven't already preordered Apple's iPhone XS or XS Max, the following wireless carriers are incentivizing the purchase. T-Mobile: Buy one iPhone XS or iPhone XS Max, get a second $700 off when you add a line. Or save up to $300 with eligible trade.